Yes, the worst part of this is that messages you deliver don’t arrive and you don’t know this. I used to eat fried spam as a kid and enjoyed it, until I read the list of ingredients. Laughing……Sounds like you are on top of your spam filter which I now will be too. Thank you for checking and yes, it is frustrating when you don’t even realize a communication has been trashed. Plus, it is frustrating to think that communication you thought was delivered, wasn’t, and you never know. I heard from a blogging friend Rachel M who works for WP/Askimet and she offerred to help so I am hopeful! Sorry this happened to you too, but glad it has improved. please follow the link from Akismet https://akismet.com/contact/ or/and search for the key word “Spam”. Then write the following message: „All of my comments are being marked as spam“. Then click on the option: „I think Akismet is catching my comments by mistake “. Then fill out the form below and finally submit. It is not a WordPress error. Wait a couple of days and then it should be okay. Yes. I filled out the form. A blogger friend who works for WP/Askimet sent the link to me. Thank you very much for the help. I hope it remedies the situation. You´re welcome. It will just take a couple of days. It is not a WordPress Problem. Only Akismet can solve the situation and will send you an E-Mail. Wonderful. Thank you. Askimet is a WP spam filter and I do hope it works. I think I found you in my Spam folder once, Cindy. I thought it might have been because you used a different account than usual. Oh, well, hope everything works out! At least you checked. Thank you for letting me know. One of the reasons I stay with WP is for the spam filter, but it seems pretty easy to see how they identify spam so it also must be pretty easy to get around it if you are a spammer. Still they filter tons of spam for me for which I am grateful. Sounds very frustrating! I make it a habit to check my spam every so often, and I do find comments in there from regular readers. So strange! 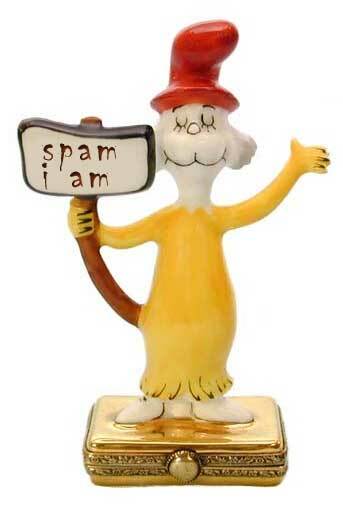 If you comment a lot on other blogs you can get identified as a spammer. Thanks, I will have a look at the spam box. I no longer ingest Spam… i’m a vegetarian. 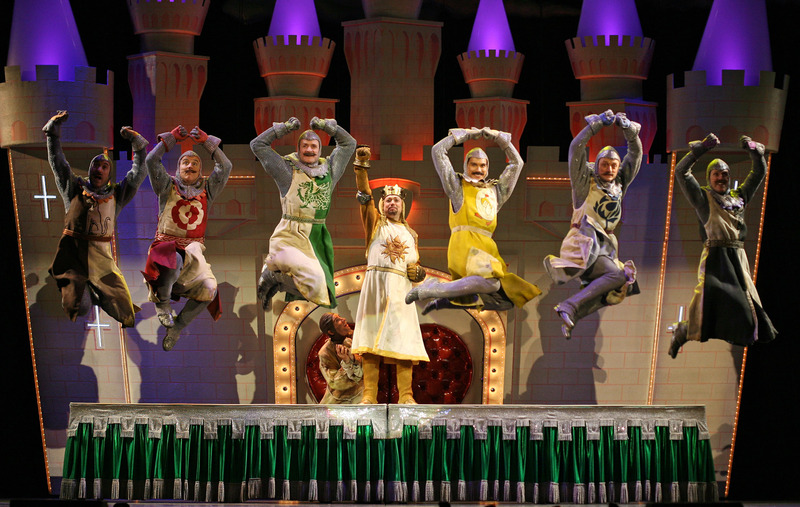 I have seen “Spamalot” the musical and it is humorous! When I comment on a couple of my friend’s blogs it automatically tells me I am awaiting their approval. These are people I follow and I (think?) they follow me. I’ll check but you shouldn’t be there since we stay in touch and I haven’t had you there before. a fellow blogger, and an Askimet/Wordpress engineer fixed the problem yesterday and all is restored to normalcy. Thank you Rachel! Sorry, you’re having technical issues, Cindy. Sometimes dealing with the tech gurus is almost as frustrating as the issue your having. Their answer isn’t very helpful. 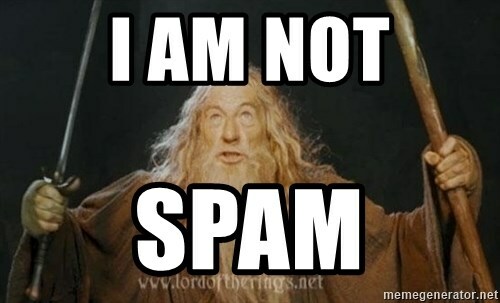 I periodically check my spam folders and if I see anything from you, you will be unspammed. Thank you Steph. The problem was fixed by Rachel M a fellow blogger and Askimet/WP engineer! Woo Hoo! Thank you very much, Sue. I will check my Spam filter. Good and thank you Isabel! Thankfully, Rachel M a blogger and Askimet/Wordpress engineer fixed it for me! I’m alerted to whats in my spam folder Cindy & check it from time to time.Your good over here. Good news & thanks for telling me! We’re good!! 😀 I’m always cleaning out my spam folder and am happy to report, you’re not there! LOL! I have learned from this to check my spam daily. The other day, I found a whole load of comments in my Spam folder from various bloggers that are my regulars. WP can be so glitchy sometimes. Yes WP can be glitchy, but in this situation WP/Askimet solved the problem with blogger Rachel M solving the problem. Thank you Rachel! Life in the virtual world can be strange, not just a video game! But a blogging friend, Rachel M, who works for askimet fixed it, so all is well. Cheers to you Maiko! I have encountered this with other bloggers’ comments on my posts. Good thing I sometimes get curious about the spam folder. There seems to have been a huge amount of that going around, Cindy. Another thing that I’ve found is that a comment can show up in my Spam folder several days after it was made… (eye roll). Wishing you a wonderful Wednesday! Hugs. And some of the people you follow posts don’t show up in your reader. I suspect there may be a numerical limit to how many posts can appear in your reader. Visa versa 2U & cheers 2! Oh my God, you genius! We could just call Trump fake spam! But do we really want to besmirch Fake Spam ? Elmediat the Spam for some writers, certainly for those writing about religious subjects, is so serious, the amount of spam which enters our mail box is too big to examine for non-spam or fake spam. With WordPress we can more easily detect spam because than there is no photograph or emblem of the writer, so there we only have to look at the mails with a proper logo, but in the ordinary e-mail box we cannot see such logo’s. What I find strange is that by order of the powers that be there is not more done to get rid of those malicious organisations and crooks. Yes we seem to catch them after the fact. They keep coming up with new ways to get around the ID process. I am simply grateful for the culling WP does and for the blacklist function that enables blocking of people who like to bother and waste my time. Small stuff is doable, but when a barrage of “big” problems converge at once, YIKES! Danke schoen mein lieber Freund! Ahhh, so nice of you & yes, I am checking spam regularly and finding friends there too sometimes, but also LOTS of spam that I am grateful Askimet filters for me! Interesting that you got put there too. I think it happens when you comment a lot and type very fast!!! I had never thought of that – I do type faster than my laptop can cope with! Cindy, checked recently and you’re good. I am getting email directly from you. Yes, thanks, Rachel M at Askimet fixed the problem. Obrigada! Você é inteligente para verificar diariamente. Good to know. Thanks for this reminder as I often don’t check my spam folder!!! Your welcome. I check it regularly now too. Oh is it?? I never check my spam folder!! I should now i think 🤔 …thanks! I have found some of my nearest and dearest blogging friends in there, so yes good to check regularly! I checked and found many of my blogging friends spammed!!!!! Thanks for the tip! !